Scam artist Ian Hawes raised over one million dollars with a bogus Dinner with Trump contest. Ian Hawes has spent none of the money raised promoting Trump and no one has won the dinner with Trump. 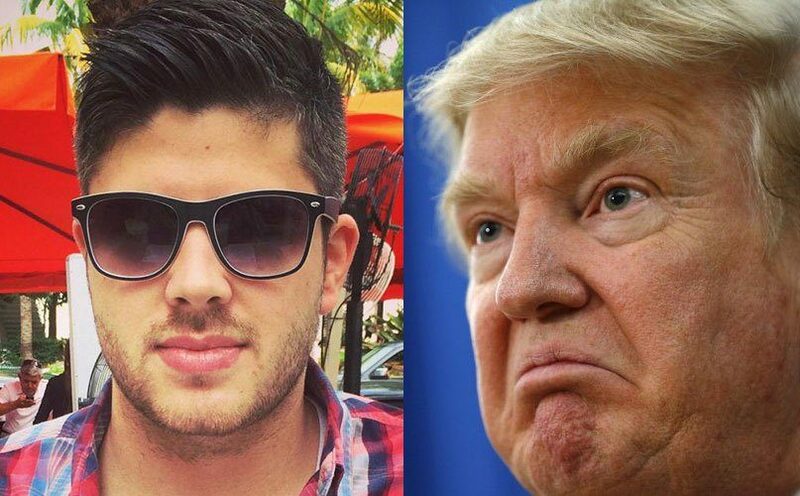 A Maryland man is offering contest participants a chance to have dinner with Donald Trump. Or is he? 25-year-old Ian Hawes of Maryland set updinnerwithtrump.org, a site that at first glance looks an awful lot like a Trump campaign page, until you read the fine print. It allows people to enter their name, email address, and zip code. Upon doing so, the next page says that people can double their chances of winning by donating, giving options for people to give different amounts. Hawes’ organization, American Horizons PAC, took out ads on Facebook to promote the site, according to a Politico report, drawing social media users to the site. They reportedly raised more than $1 million. But the small print on the bottom of the site tells people what they’re actually getting, and it’s not a private dinner with the Republican Presidential nominee. “Prize is for winner & guest to attend a Donald Trump fundraising event with other attendees,” it says, adding that it includes airfare and hotel accommodations, with a total approximate retail value of $3,600.